Michelle has been in the insurance industry for over 20 years. She joined Venture Pacific Insurance as a Senior Account Manager in 2015. Her vast knowledge of all commercial insurance coverage and contractor related risks allow Michelle the ability to effectively adhere to all client and underwriter needs. 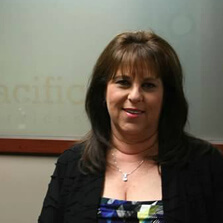 Michelle is a licensed Fire/Casualty agent, and certified OCIP Administrator. Michelle enjoys spending quality time with her family, friends and raising her sons.